Calling girl inventors! The goal of Goldie Blox toys is to get girls building. Love the mission behind this company to start girls YOUNG in the toy aisle with toys that will stimulate their STEM skills and desire to build and engineer. 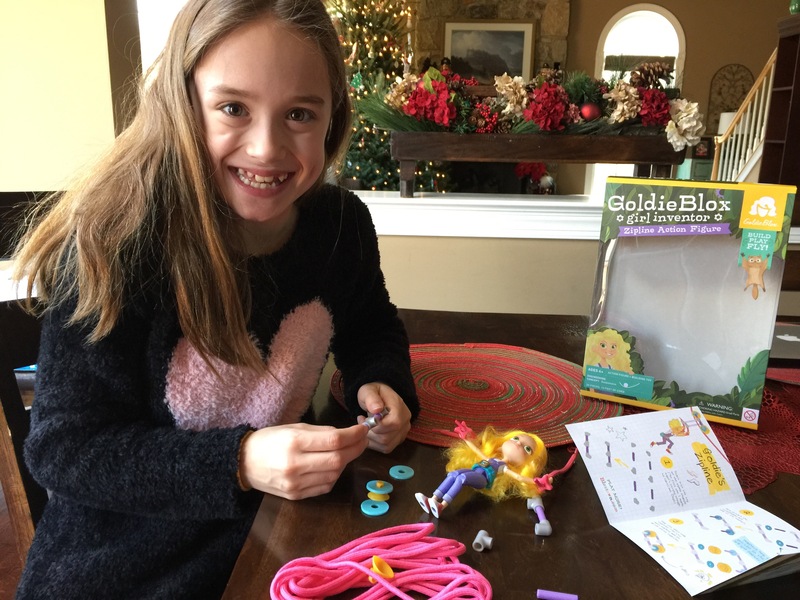 This was our first time reviewing a Goldie Blox toy and Kenzie and I were excited to see what all the Goldie Blox buzz was all about.Check out the scoop below in our Goldie Blox Zipline Action Figure Video Review. Goldie Blox products are now sold at Walmart and they sent us the Zipline Action Figure to review. Isn’t Goldie cute? 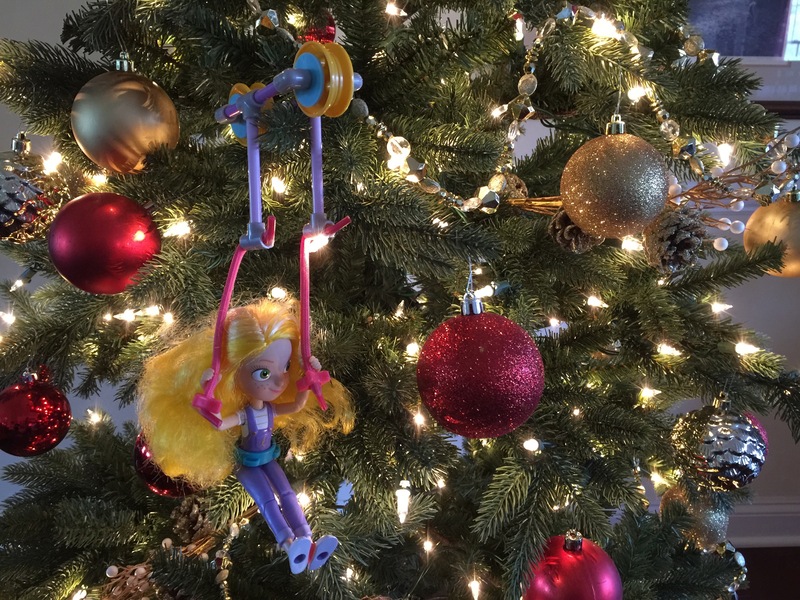 Here she is hanging on our tree by the pulley piece of the zipline that Kenzie built. I love the story behind Goldie Blox. Founded by a Standford female engineer who was frustrated by the lack of girls pursuring careers and degrees in engineering, she decided to disrupt the toy biz in a positive way by introducing girls at a young age to fantastic toys to get them building, creating and playing in a way that will encourage them to pursue engineering and science. Take a peek at a demo of Goldie zipping along on the zipline Kenzie built for her. We were able to build this zipline in about 5-10 minutes. It was easy to build the pulley, the hardest challenge was figuring out how to connect both pieces of our “rope” across a room in our house for Goldie to zip along! Once we set up the zipline, the kids had a blast watching her ride the Zipline – and then of course using their own imaginations, both Kenzie and Kyle tried many different areas in our home for the zipline along with getting really creative and letting their own stuffed animals also go for their own ride on Goldie’s zipline! They had a blast using it this afternoon! Goldie Blox sells a variety of various doll and construction kits for girls. So if you child likes one, I’m sure they’ll love building others. 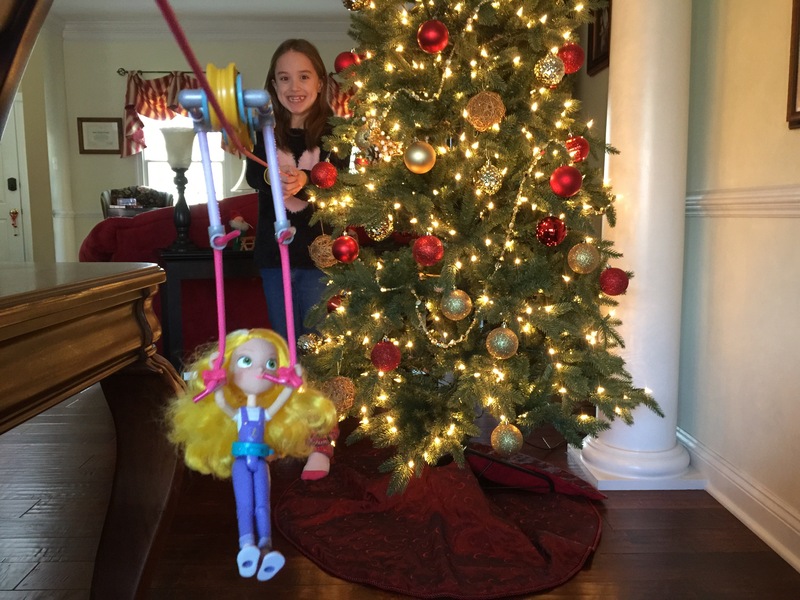 Our Goldie Blox Zipline Action figure sells for $24.99 at Walmart or Walmart.com and comes complete with this little doll who is fully articulated making her fun to pose and play with both on the zipline or anywhere. I loved that this kit was small, quick and easy to build. It says the age is 4+ for our kit. I think younger girls will need some help from a parent or older sibling with the construction of the zipline, but your older girls 7+ will be able to do this independently with minimal parental direction. Overall, Kenzie best liked PLAYING with the zipline once she figured it all out and had it set up. It was cool for her to see the fruits of her little labor come to life in a fun way. Love that this brand is trying to inspire girls to BUILD and CREATE in a more scientific way at an early age. Hooray! Science for the win! Check out all the Goldie Blox product sets available at Walmart here. papel e também Sua relevância nelas.